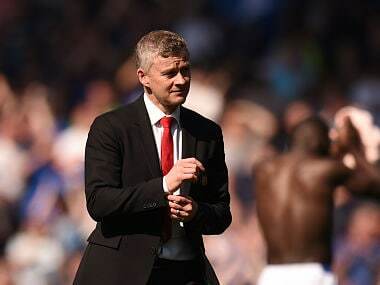 Manchester: Jose Mourinho declared Manchester United's 4-0 drubbing of Everton their best performance of the Premier League campaign so far on Sunday which proved a miserable return to the club for record goalscorer Wayne Rooney. Rooney — who had a golden opportunity to score but saw his shot saved by David de Gea in the opening minute of the second-half — was upstaged by former Everton star Romelu Lukaku who scored and set up one for United as the hosts eased away in the final 10 minutes. 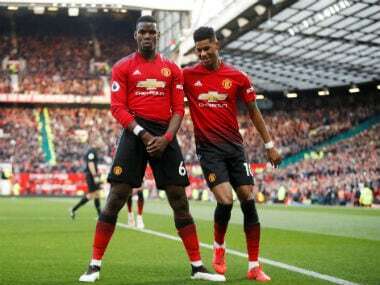 Victory sees United join Manchester City on top of the table on 13 points with exactly the same statistics in every regard but behind because of the alphabet. "I think the performance was very good, especially in the first 30-35 minute, it was probably our best performance of the season," Mourinho told Sky Sports. "After that, Everton's good players came out and showed their qualities. They gave us difficulty but I looked behind me on the bench and saw alternatives. "You have to kill the game and give them little chances. There was a moment were I felt we did not kill it so we have to make it solid with Ander Herrera. 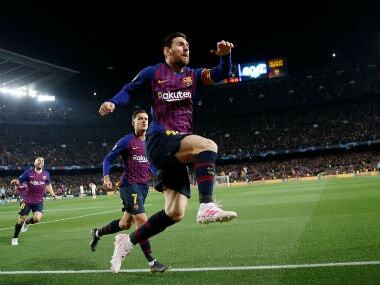 The second goal went in, then game over." 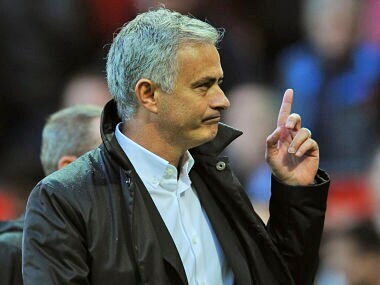 Mourinho, who said he was surprised Anthony Martial took the penalty when Juan Mata was the designated penalty taker, said he felt for Everton who have lost their last four matches without scoring a goal. "Everton are going to be fine but they are living a difficult moment," said Mourinho. "The fixtures they have got, I would not like this all together at the same time. I would like one of the top five, but all of them, that is not fair for them." 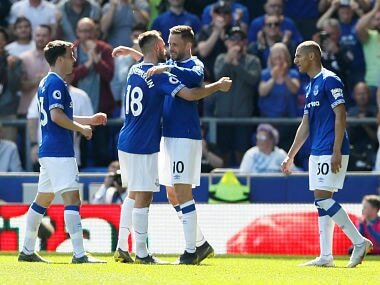 However, despite his consoling words pressure will grow on his Everton counterpart Ronald Koeman, who spent £152million in the close season but failed crucially to replace Lukaku up front. "Sometimes you get more than you deserve," Koeman told Sky Sports. "We made a big mistake at 1-0 and after that it was over. From what I saw today from the team it made me happy. More happy than Thursday (they lost to modest Serie A side Atalanta in the Europa League). "We grew in the game and in confidence and not many teams will get two big chances like we got today. We didn't score the goal and after a personal mistake it was 2-0." Lukaku, who had been thought set to join champions Chelsea but decided to go to United for £75 million instead, said he had meant no disrespect to the Everton fans in cupping his hand to his ear when he scored.